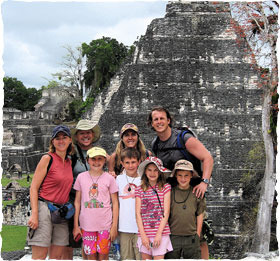 Leaders in family adventure travel for over 10 years, we're specialists in exotic and faraway places. Exciting destinations include Alaska, Belize, China, Costa Rica, Ecuador, Egypt, Panama, Peru, Portugal, Tanzania, Turkey and the Galapagos Islands. Our young travelers enjoy discovering the world through guided outdoor adventures, wildlife viewing, cultural exploration, pen pal gatherings and more. And parents appreciate the family-friendly planning of a Thomson adventure, from courteous guides and smooth travel transfers to delicious meals and comfortable accommodations. Convenient departures are scheduled to coincide with school vacations, and dates are guaranteed, so your trip will not be canceled. What's more, we provide travel insurance for no additional cost. Is Thomson Family Adventures your company? Register to get access.